Business professionals in Hawaii know that if they want to be the best they have to look their best. That is why ordering a digital projector rental in HI from Rental Projectors Corporation is hands-down the most intelligent decision a professional can make when looking to boost their professional image and ultimately their success. It is absolutely amazing what LCD projectors are capable of in this day in age, but without the right experts helping you bring out the most in your presentation rentals, you will be missing out on some of the new components that make your presentation in Hawaii a much smoother process. Our distinguished rental company has the most intelligent, hard-working, and devoted team of renting specialists that prove to be a valuable resource and partner for our clients and potential clients alike in the state of Hawaii. They are always enthusiastic about keeping our clients up-to-date on all of the new features and components of cutting-edge DLP projectors. 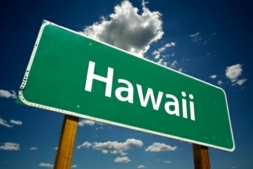 For instance, many of our clients in HI have asked our renting specialists about possible concerns they might encounter with their connection options in their presentation environment. Our projector specialists quickly put our clients’ worries to rest when they tell them about how they can utilize the newer USB Plug and Play technology on their advanced LCD projector to give them a variety of ways to set up their portable LCD projector regardless of the type of presentation environment. Making sure that our clients and potential clients in Hawaii are up-to-speed and completely prepared for their crucial presentation is just one of the many ways that our specialized rental company stands high above the rest. Even though the economy in the beautiful state of Hawaii is mostly driven by tourism, military and education sectors play a big role in the economic success in HI. Business professionals want to look their absolute best when they utilize their LCD projector. Our company always includes important components with our rentals such as well-designed projector advancers and easy to use menus that allow our clients to flow through their presentation without having to stop and troubleshoot their LCD projector. Our clients in Hawaii sail through their presentations with our advanced rentals, looking smooth, confident, and professional. Our clients and potential clients in HI never have to worry about having trouble contacting one of our projector specialists for help or questions concerning their DLP projector. Our specialists are readily available to them 24/7 by either email or phone. Feeling confident when presenting is a big key for success. When you rent from RentalProjectors.com, you will feel confident and prepared every time you step into your presentation environment.